Dr. McGinley will be recognized as a Fellow Member of TMS at the October 2018 Annual Meeting in Cleveland, OH. 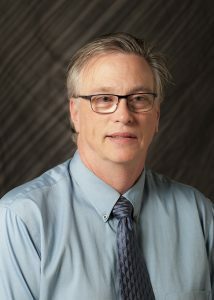 The Masonry Society’s Board of Directors, based on a recommendation from it’s Awards Committee and a strong nomination package, named W. Mark McGinley, Ph.D., P.E., Professor and Endowed Chair for Infrastructure Research at the University of Louisville, as a Fellow of the Society. Dr. McGinley was nominated for the position of Fellow based on his significant contributions and achievements related to masonry education and research. Dr. McGinley is a noted masonry educator and researcher, having won several awards for his work including the John B. Scalzi Research Award in 2012 from The Masonry Society as well as an outstanding TMS Journal Paper Award. 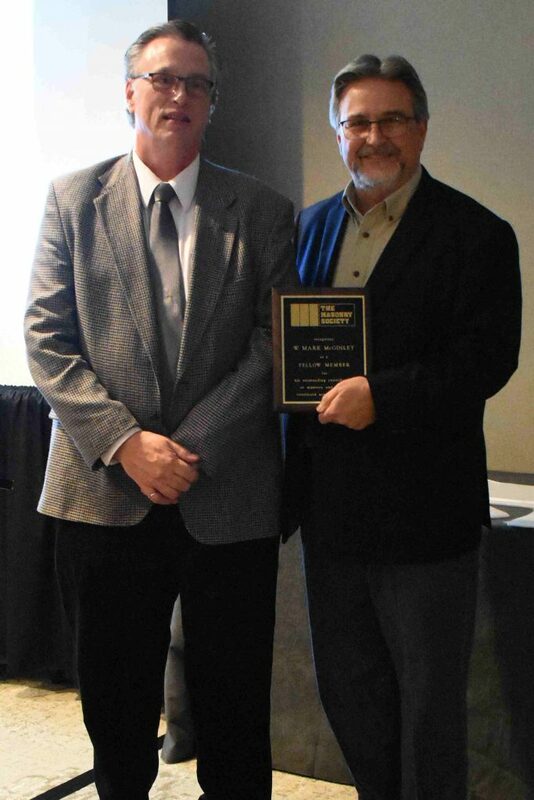 His contributions to a research project focused on the seismic behavior of low-rise reinforced masonry structures and on the seismic behavior of masonry veneer over wood-stud walls and masonry walls led to him receiving the Yorkdale Award from ASTM. He has also been recognized with the Award of Merit and Fellow award from ASTM, along with the Gil Robinson Memorial Award. He is currently Chairman of ASTM C12 Committee on Mortars and Grout and Vice Chair of ASTM C 15 Committee on Masonry Units. These awards and leadership roles help highlight the excellent work he has done, which has been documented in numerous technical papers, articles, and presentations. Within TMS, Dr. McGinley has served in numerous leadership roles, currently serving Vice President of the Society and as Chair of a Subcommittee of TMS 402/602. In the past, he also served as Secretary/Treasuerer, Chair of the Electronic Communications Task Group, Chair of the Design Practices Committee and as a member of TMS’s Board of Directors. He has served as an author for every edition of the Masonry Designers’ Guide, and in 2008 received a TMS Service Award for his work on the MDG, taking over a major design example that needed his leadership. As Secretary/Treasurer, Dr. McGinley also serves on TMS’s Executive Committee and Board of Directors, offering valuable insight and recommendations. Dr. McGinley served on the Hurricane Opal Disaster Investigation Team for TMS, and has supported the Society and the masonry industry through numerous technical presentations and studies. As an instructor for the Masonry Design seminars he has educated many outside of the university setting on the structural aspects of masonry. As a professor he has developed and taught masonry courses including a capstone project. The Masonry Society formally recognized Dr. McGinley at its 2018 Annual Meeting in Cleveland, Ohio.